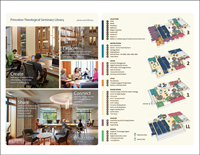 On this page: Addresses, Building Guides, Parking, Self-Guided Library Tour, Study Spaces in the Library, Reference Desk, and Shelving and other locations in the library. Books in the C-E call number range are moving from the 2nd floor to the Lower Level of the library. What are call numbers? Paper guides are available throughout the library. View the building guide online. Floor plans are posted near elevators and stairwells on each floor. 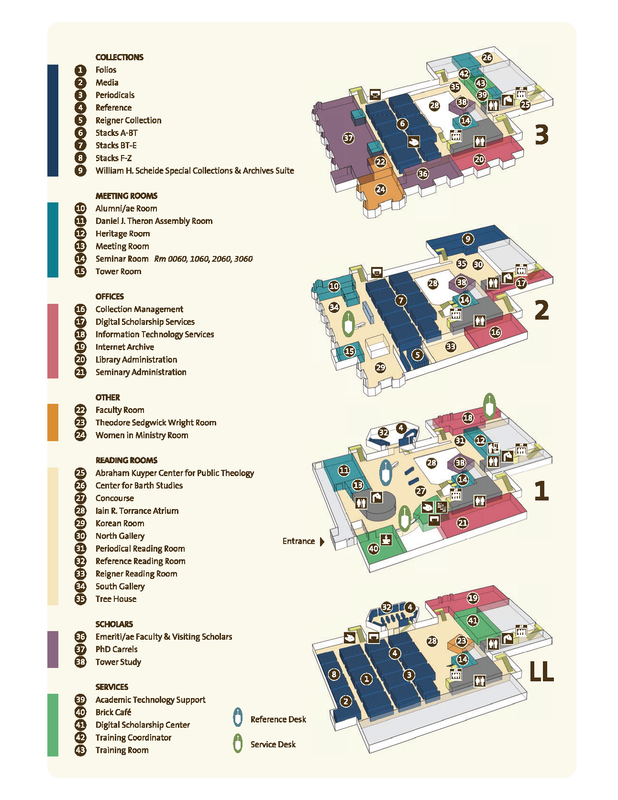 View the floor plans online. 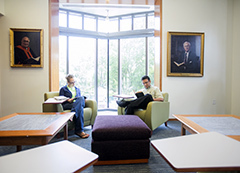 Take a virtual tour of the Princeton Theological Seminary campus, including the library. 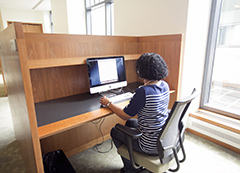 Available during posted hours, the Reference Desk is located on the first floor opposite the Circulation Desk. 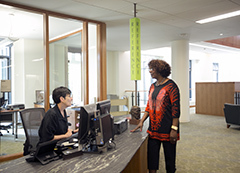 Use the Ask the Reference Librarian form to submit online requests for information. 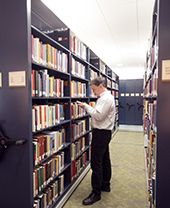 The Reference Librarian provides individual reference and research assistance and often instructs Seminary classes on the use of research tools. 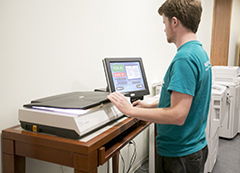 Interlibrary loan requests made by members of the Seminary community are also handled by the Reference Librarian. ***Study tables and soft seating options abound on all floors, including (but not limited to) those marked (*) above. Restrooms and water fountains are also located on each floor.